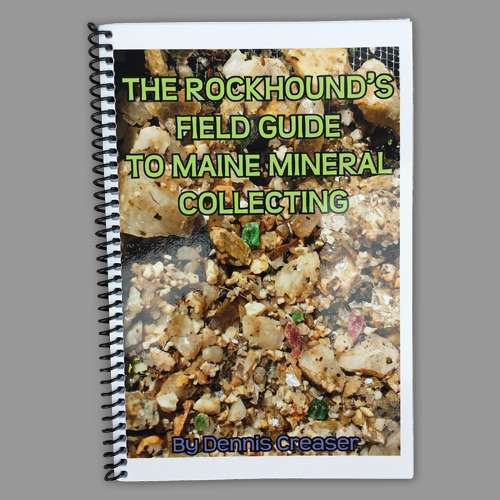 Our book, "The Rockhound's Field Guide to Maine Mineral Collecting". This ground-breaking book by Dennis Creaser is the very first of its kind. 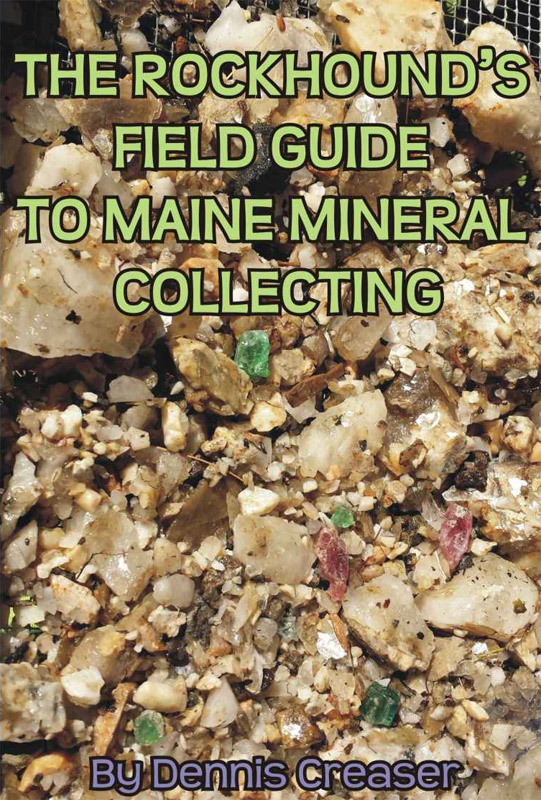 There are plenty of Mineral collecting guides out there that will tell you "where" to collect but none that will tell you "how" to collect, until now. In this book, you will learn the special procedures and tools to make most any pegmatite mine dump produce gems and mineral specimens. Also included is a selection of Mineral collecting locations still open to the public and specific techniques and information to help make digging them as productive as possible. 36 pages, color, spiral bound heavy-duty paper. Also available on Amazon Kindle for $5.49.